Low's decision to drop World Cup winners Thomas Muller, Mats Hummels and Jerome Boateng raised eyebrows and the way his vibrant and unpredictable side approached the first half indicated putting faith in a younger generation could pay off. 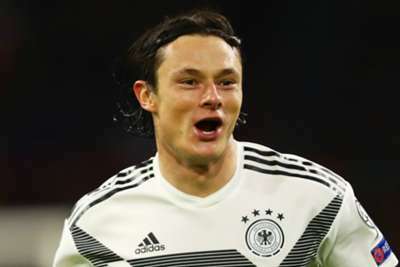 Tactical tweaks from Koeman at the half-time interval put Germany on the back foot and Netherlands looked set to cause more misery for the 2014 World Cup champions after last year's Nations League thumping. But it was Germany who were left to celebrate as Schulz, earning his sixth cap, won the points. The 23-year-old has now scored six times in his last nine appearances for club and country and is becoming increasingly influential for Bayern and Germany. Germany dominated the first half but Netherlands still created two good chances for Babel. On both occasions he placed his effort too close to Germany captain Neuer and it was no surprise to see Babel make way for Steven Bergwijn at the half-time interval. Netherlands face England in the Nations League semi-finals on June 6. Germany are away to Belarus and at home to Estonia in a double-header of qualifiers in the same month.